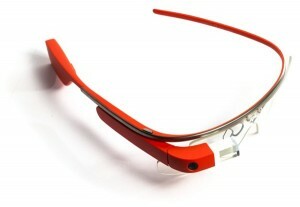 Google Glass Held Off Until 2015? After a long time in development, and some limited public appearance through developer’s and ‘home’ versions… it appears as though Google Glass will again fail to meet its target release date, with the ‘end of 2014′ plan looking increasingly less likely, according to sources. Reuters report that the planned consumer release of Google Glass is likely to face further delays, with a release date now set to be pushed backwards to some point in 2015. The rumoured delay reportedly comes not as a result of what Google developers are doing, but rather what their third-party app developers are not, with rumours that they are losing interest in the format and withdrawing from the process of making apps for the wearable technology device. The current tally of apps supporting the product is noted as being close to 100, but Google seem reluctant to appear on the market without names such as Twitter, who recently stopped their support for the time being. Also having to deal with the loss of a number of ‘major employees’ who were with the Google X Labs project from the start, the plans appear to be hitting turbulence at the worst possible time. With Google presumably too far in to back out completely from this innovative augmented-reality venture, the question around Google Glass now reverts back to: when will it be released?